When it comes to managing chargebacks, a merchant’s actions should be predictable and consistent—assuming a detailed and effective chargeback policy is in place. What is a Chargeback Policy? A chargeback policy outlines a merchant’s management philosophy and the standards for preventing and disputing chargebacks. Some merchants take an aggressive approach to chargeback management. For example, the chargeback policies for some gaming merchants have been called into question when victims of criminal fraud were penalized for requesting legitimate chargebacks. On the other hand, many merchants simply accept chargebacks as a cost of doing business, devoting few—if any—resources to recovering lost revenue. Each chargeback policy should be a custom creation, but there are several universal qualities merchants will want to take into consideration. Studies have found that 50% of successful friendly fraud attempts will lead to a repeat request within the next 60 days. Merchants who fail to challenge these illegitimate chargebacks are simply perpetuating the cycle. What is my current chargeback rate? Can I identify potential CTR breachments in time to make necessary changes? Am I calculating my net chargeback win rate or just gross? Am I disputing all possible reason codes? Is automatically refunding transactions helping the situation? Am I being overly aggressive with my blacklist? Are my front-end consumer authentication tactics causing needless friction? Are there effective back-end solutions? How can I use chargeback data to fine tune my fraud filter rules? What is an acceptable level of risk exposure for my industry? My business? The merchant determines the current chargeback policy is sufficient, as a detailed audit reveals satisfactory results over time and little room for improvement. The merchant identifies areas of weakness and is able to make necessary adjustments to remain agile in the dynamic eCommerce environment. The merchant is unable to answer these questions, objectively critique processes, or effectively evaluate results. Many merchants will fall in the third category—and there is no shame in this revelation. Merchants are tasked with an incredible amount of responsibility on a day-to-day business. Their core competency is acquiring and retaining new customers. It is understandable that merchants don’t excel at chargeback management—that rightfully isn’t their area of expertise. It is imperative to note that KPIs must be customized to each individual business. One-size-fits-all monitoring platforms fail to recognize applicable errors, overlook monetization opportunities that are unique to a given business, and essentially negate the earning potential of new customer acquisition if the accompanying risks aren’t monitored. However, the primary obstacle to this is that chargeback management is a tactical process, based on the analysis of abundant, divergent, and complex data. Therefore, tracking KPIs in-house will involve a great deal of trial-and-error to ensure that the merchant is leveraging the data correctly—which will obviously be a time-intensive process riddled with missed opportunities. 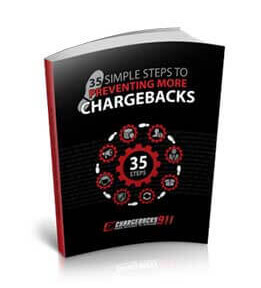 If you’d like help creating custom KPIs for your business, contact Chargebacks911 today. Taking an active stance against chargebacks can’t interfere with customer acquisition or retention. Any tactic will feel overly aggressive if it isn’t supported with the necessary customer service. This includes, but is not limited to, flexibility in light of advanced customer loyalty and lifetime value, a definitive identification of intentional cyber shoplifting that can’t be confused with legitimate fraud, and liberal enough fraud filter rules that won’t cause unnecessary declines. Does it presume good faith on the part of the customer? Merchants shouldn’t assume that their customers are out to steal from them, and customers don’t want to feel that merchants are making this presumption. It’s best to approach each interaction with the belief that the customer is being truthful and honest. After all, many disputes are simply the result of human error or a miscommunication. Is it constructive? The purpose of having a policy shouldn’t be explicitly to deter chargebacks; instead, it should be to reinforce that the merchant is just as interested in reaching a resolution as their customers. This will facilitate mutual respect between merchants and customers. Is it solution-focused? On that same note, policies should always be crafted in a way that shows customers that there is a straightforward path to resolution. If customers don’t believe they can achieve satisfactory results, they will file a chargeback regardless of the perceived consequences. Creating an effective chargeback policy isn’t easy. In fact, it’s something that will probably be well-beyond the scope of the average merchants’ skillset. In many cases, it is advantageous to seek professional help to ensure optimal effectiveness. Chargebacks911® is happy to help you create and implement sound chargeback policies, tailored to your unique needs. Our suite of technologies and services are ideal for pinpointing chargeback sources with tracking based on custom KPIs. Beyond creating policy, Chargebacks911 offers ongoing support with solutions for chargebacks of all kinds. Our technologies and expertise are available at multiple service levels, including SaaS, on-demand, or as a fully-managed, turnkey solution. This ensures you receive the services best suited for your business's needs. Contact us today to put your chargeback policy into action.